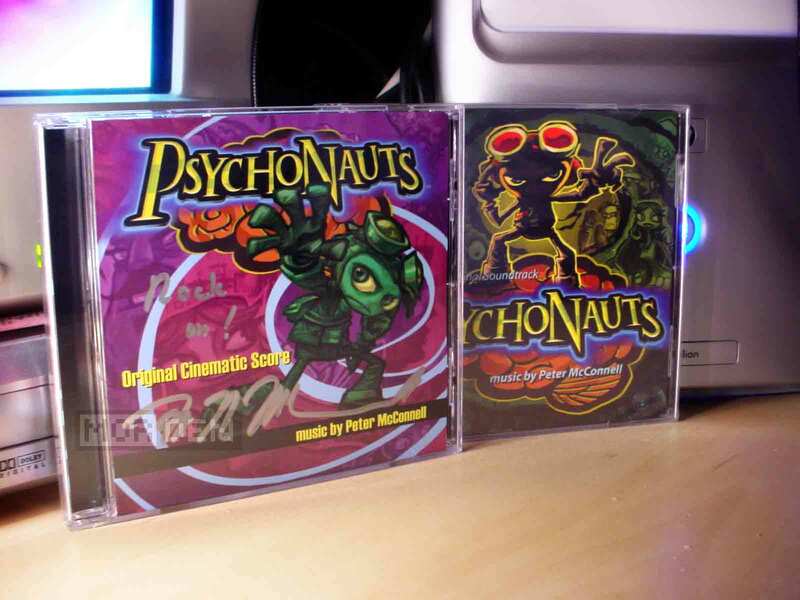 On wednesday evening I have finally recieved the long awaited Psychonauts soundtracks. Two separate discs containing the original game score and the music from cinematics. Soundtracks... everyone has them. But I was especially excited when buying these two. 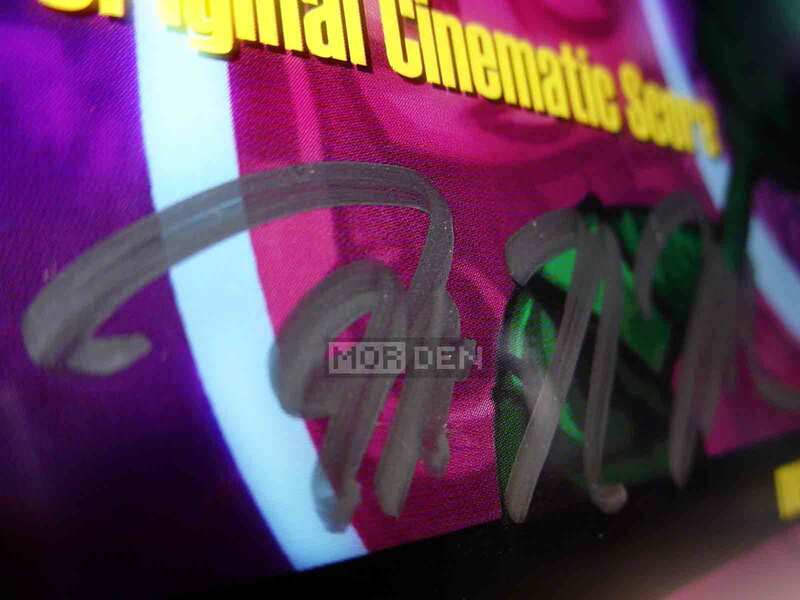 The cinematic score is signed by none other than Mr. Peter McConnell himself. He's, of course, the person responsible for Psychonauts music, but not only that. During his years with Lucas Arts, McConnell composed the scores for such titles as Full Throttle, Grim Fandango, Sam & Max: Hit the Road and Monkey Island series. Now that's an autograph you want to hold onto. Just the other day I saw a mint copy of Grim Fandango being sold for about £180. And that's just your regular soundtrack, no autograph. It makes you wonder how much value an autographed CD will gain over the years. 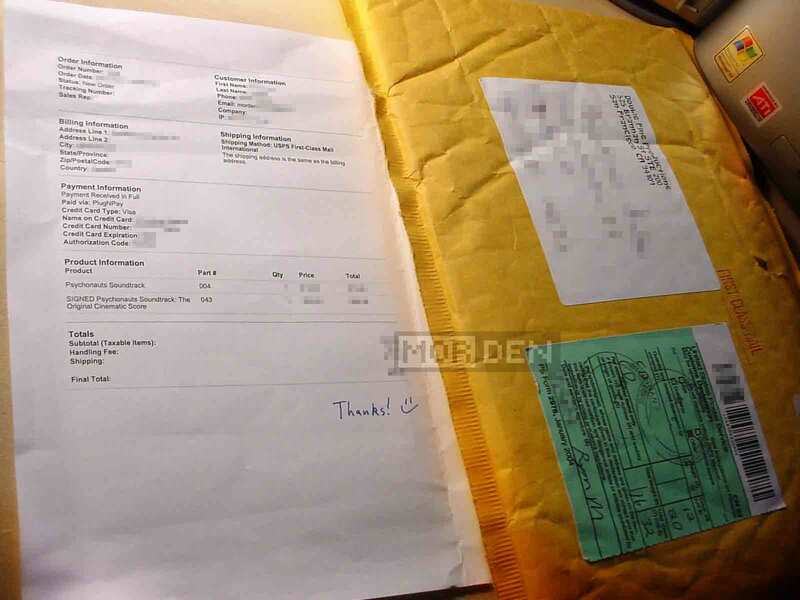 On a humorous note, when I took the invoice out of the package, I've noticed a small "Thanks :)" written on it. That's how Double Fine shows you that you're not just another customer. You're special. If the Psychonauts video isn't enough for you, and you want to see Peter McConnell live, here's something you should see. Maestro himself plays music from Grim Fandango with Clint Bajakian and Michael Land at Video Games Live at the Hollywood Bowl on September 21st 2006. Another title joins the WonderSwan collection. 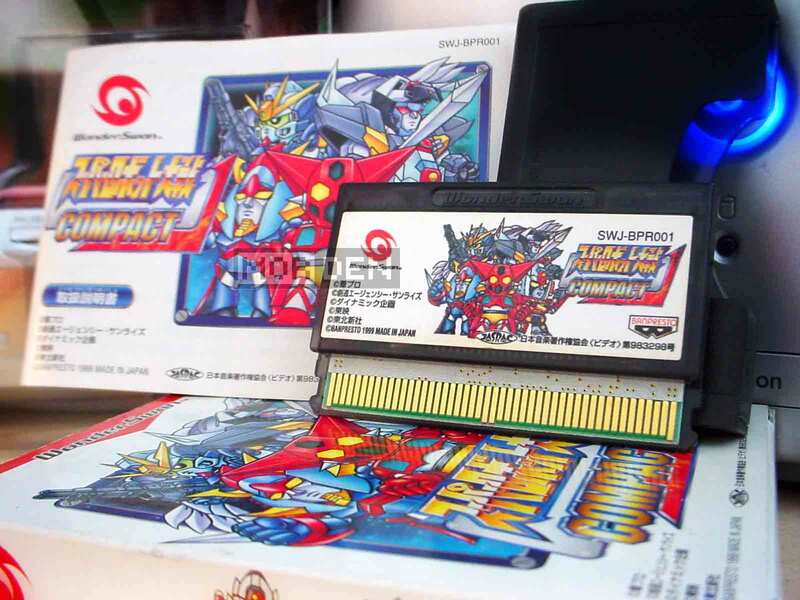 This time it's the Mono edition of "Super Robot Taisen Compact". Nothing too special. Just your standard japanese mecha RPG. Good job on Banpresto's part. Game looks and sounds quite good. Only for die hard mecha fans though. If you liked the Gundam titles, you'll like this one. A minor change has been made to the Katamari Damacy: Mobile entry. I've added a direct feed gameplay video. Straight from the Foma P904i phone, crystal clear and smooth. To check it out, just click HERE. You'll find the new video at the bottom of the entry. 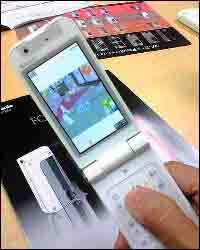 2007.08.03 Fri ワンダースワン ★ Wonderswan Comment Tweet This! 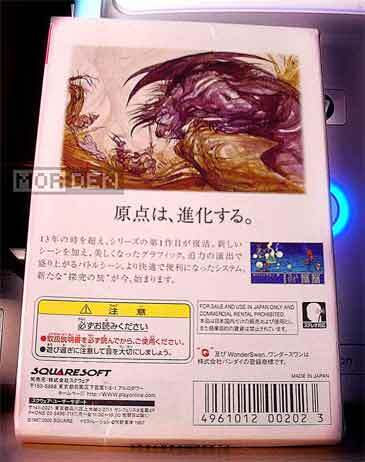 2007.06.09 Sat ワンダースワン ★ Wonderswan Comment Tweet This! 2007.03.30 Fri ワンダースワン ★ Wonderswan Comment Tweet This! For now, a video of 『TURNTABLIST －DJバトル－』. I'll update the last three entries [including this one] when I'll have some spare time on my hands. Enjoy the photos and a video. I dare you to find a better music game for any handheld with similar capabilities to WonderSwan Mono. 2007.03.24 Sat ワンダースワン ★ Wonderswan Comment Tweet This! 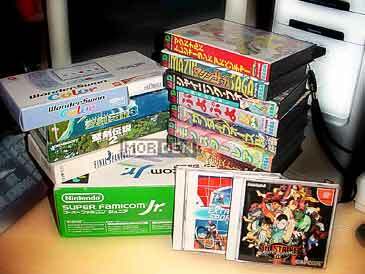 And so, another Wonderswan Color game joins the small collection I've managed to build up. 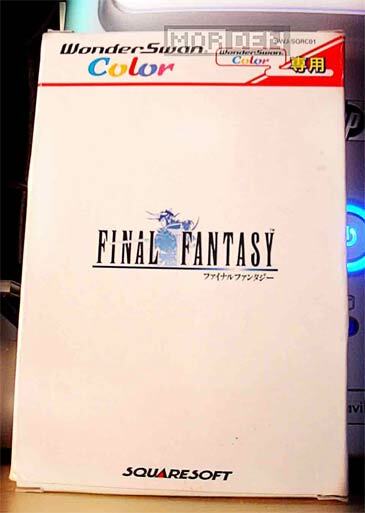 As you can see from the photo above, this time I got my hands on the first Final Fantasy title released for Bandai's handheld platform. Just like the second game, Final Fantasy WSC will please anyone who wants to spend few hours with a decent RPG title. If you're looking for some solid graphics, you'll find them in this game. I wouldn't go as far as saying the game has Super Famicom graphics quality, but it sure does come close. As usual, the sound is at Famicom or Game Boy level, which shouldn't bother a fan, or any other gamer for that matter. Even today, musicians compose for Commodore SID or Famicom hardware, so while a bit behind in sound technology, WonderSwan surprises with complex and rock solid soundtrack. 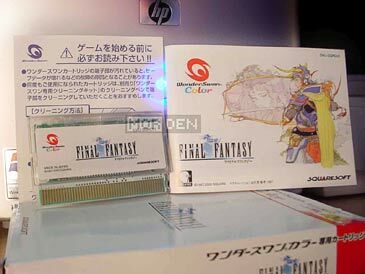 Once again, if you haven't seen a Wonderswan Color RPG title in action, here's a small sample. The video shows first minute of the game. This will be the first place you'll visit if you start playing the game yourself. 2007.03.12 Mon ワンダースワン ★ Wonderswan Comment Tweet This!